BED1480-7 Spring Size: 7" Springs are Pictured But Not Included Features: -Spring size options.-High quality fabric for a more enhanced bounce and rebound.-Fits model # BZJP1406 (7'' springs). Color/Finish: -Springs Not Included. Specifications: -Fits trampolines with 80 V-Rings. Disclaimer: -Please note: WHEN MEASURING YOUR TRAMPOLINE TO DETERMINE THAT SIZE OF BED THAT YOU NEED, PLEASE MEASURE FROM THE OUTSIDE EDGE OF THE FRAME TO THE OPPOSITE SIDE OUTER EDGE. 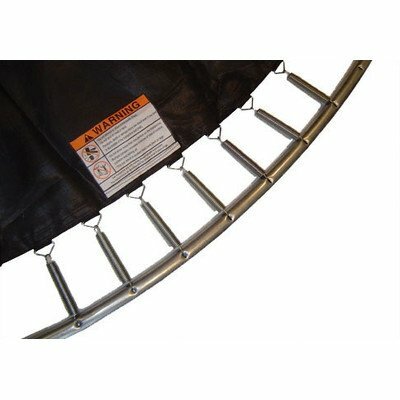 Trampoline Frame Size: This trampoline Bed (Jumping Surface) is for use on a 14ft Trampoline with 80 Springs that are 7 inch in size.